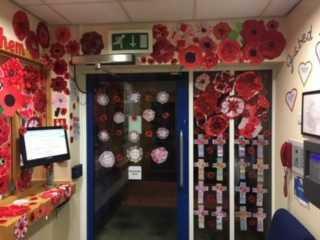 100 years ago the First World War ended, and a new world began. The example and experience of those who lived through it shaped the world we live in today. 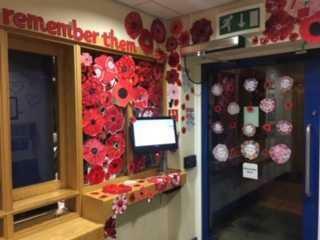 We remember all those who lost their lives to enable us to live ours. May God help us to ensure that we work hard to show our respect and gratitude by being the best people that we can be and fulfilling our God-given potential. 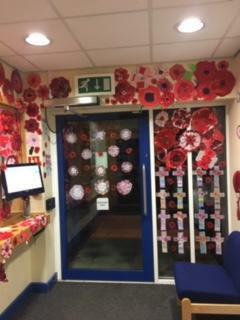 This week the children have created their own artistic versions of the symbolic Poppy and we have created a beautiful display of their work in our office foyer. 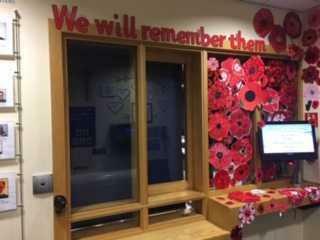 On Monday the children will pay their respects by taking part in a minutes silence at 11:00a.m.